While swiping pictures on old albums one day, I was full of nostalgia while pissed to the core of my heart at the same time. And I’m sure you will relate to my situation! Out of every 10 photos, at least 3 were perfectly untimed. They had my eyes closed or I had a weird smile or some weird expression. I know you were a victim, too, my friend, of your camera. Sometime, blinked eyes or bad facial expression is all it takes to ruin a perfect picture especially a group photo. I Photoshop such pics in the past but I’m not James Fridman. But guess who come to our rescue with an amazing solution to fix bad photos? Google. Yes, a recent patent hints Google Photos new feature that will fix your perfectly untimed pictures by using your other pictures – a technique called patching. This feature will work pretty much like patching feature of Photoshop. Here, however, it will be as easy as pie. The photos app will cache your similar images to analyze your face. That cached part can be used to patch other photos, for example, replacing closed eyes with opened or changing the solemn or frowning to smiling face. See? It does this by analyzing your previous photos and assigning unique identifiers to different parts of face (to lips, frowns, eyebrows, eyes, etc.). These identifiers will help Photos in matching and replacing the parts of photos to be fixed. Google Photos is by far the smartest photo manager out there. Its search feature is something that I never knew I needed so much. Besides that, the cool video and photo editing features that Google keeps adding to it, makes it even more impressive (like recently launched video stabilization feature). When comes facial recognition, Google Photos is already phenomenal. It recognizes a person even from a tiny part of his face. This new feature will add new feather in its cap. 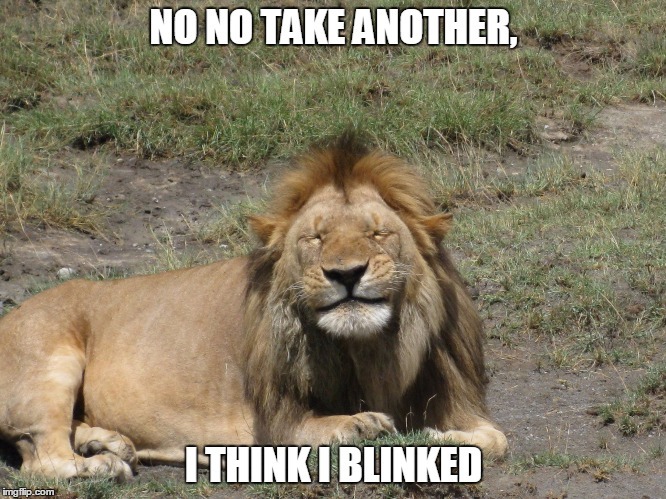 I like photos where people blink. It’s nice, funny and unique. It makes it special. Hopefully its opt-in because this feature is definitely useful. It’s creepy too. I’m not one to worry about our future but this has got me worried. It sometimes does make it cool and nice but sometimes it ruins everything. The feature may be helpful there. Isn’t it? Previous Previous post: Samsung finds another way to unlock a smartphone – Is it cool? Well, You Decide! Next Next post: How Intel will make indoor navigation possible in offline mode?